I was recently sent select summer shades from Sinful Colors to play with and it was hard to pick a single shade to test because (1) they were all so pretty and (2) they kind of lined up like a seasoned squad, so it was hard to take one away from the clique. 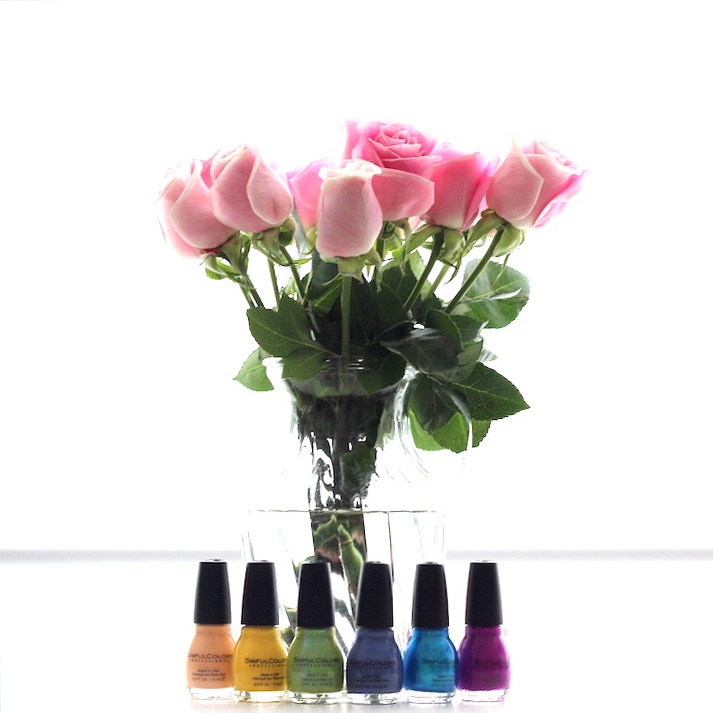 I am a fan of Sinful Colors, which is made in the USA as a formaldehyde-free, toluene-free and DBP-free nail polish line, because it’s quality nail color at a budget price. Most of the shades are $1.99 and they’re sold at drugstores nation-wide including Duane Reade, Rite Aid, Target, Walgreens and Walmart. For the purposes of this post, and another I was shooting the same day, I finally decided on the Lavender, which actually reads as a cool denim blue on my newly tan skin. Since I’m LOVING the Texas Tuxedo trend this season, I figured there could be no such thing as overkill when the look starts at matchy-matchy. I painted my nails while making a mental note to wear all-denim during the week. Sinful Colors offers a wide range of shades, from subtle to shocking, and finishes, from opalescent to glitter. Due to it’s price, you won’t feel bad changing the color every day to match your look. But if ain’t-nobody-got-time-for-that, don’t worry, it will last as long as other non-gel nail polishes. My at-home mani lasted me almost a full workweek with minor chips, the same as Essie or OPI, and I constantly work with my hands. I loved how the Lavender looked against my skin and, of course, my new accessory (#fiance!) but I also have to say the warm pastel peach, Skylark, is GORGE and is definitely next on my list…. I have been using Sinful Colors since the summer and would highly recommend the brand. I am a fan of the blue/green collection! !